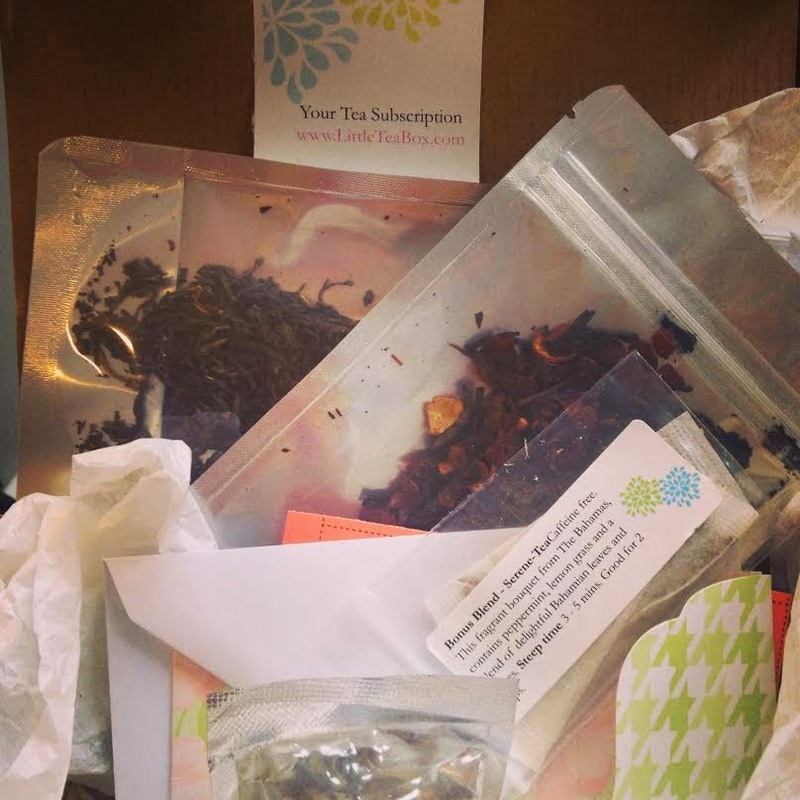 Do you have a monthly tea subscription? The idea of opening a mystery box of tea every month is very enticing. But with all the options out there, it's hard to choose. Little Tea Box recently contacted me to see if I'd like to try one of their monthly boxes. When I agreed they promptly sent a sweet little box over for review. Gina Mortimer started Little Tea Box to share her love of tea with the world. She sources the teas from a company in California specializing in fair trade teas from Japan, China, and Sri Lanka. She also sources herbs from a natural grower in her native Bahamas. She selectss teas based on season and uniqueness. Each box is $12.99, which is less than most services I've encountered. In the box I received, I found three teas plus a little bonus tea. The two loose teas are a plum oolong blend, 'ancient forest' blend, a blooming floral ball, and the 'bonus blend' called Serene-tea which is peppermint, lemon grass, and' Bahamian leaves and spices'. The Ancient Forest is a Yunnan black tea harvested from old tea tress in Jingmai Manging's blue mountains. I've had wild Yunnan black tea before, and it reminds me of this one- very earthy and bold. There is a honey sweetness with a slightly malty, deep richness. The earthy flavor almost reminds me of a pu erh, but not quite as pronounced.This is a satisfying tea I'd love to have in my tea cabinet for early morning wake ups. The plum oolong's sweet fruity aroma hit me as soon as I opened the package. Unfortunately the sweet plum scent raised a red flag for me. I'm not a fan of scented teas, so I was a bit reluctant to try it. This tea contains oolong (doesn't specify type), schizandra berries and 'essence of plum'. I had a feeling this was going to be too sweet and 'flavored' for me. The berries far outnumbered the tea leaves, which also left me hesitant. I gave it a try and although it was too sweet for me, it did have a nice tartness for balance. It is a good choice for anyone that likes flavored, fruity teas. I haven't tried the blooming tea yet, I didn't have an opportunity to brew with a glass vessel to see the bloom unfurl. The Serene-tea has a lovely aroma- I don't usually care for peppermint in tea, but the dry leaves have a lemongrass and cinnamon aroma, more warming than a cup of straight peppermint tea. The brew has pleasant warming spices and just a quiet hint of peppermint. This tea definitely allows the Bahamian spices to shine. The company offers credits for anyone that sends the box back to be recycled. I like the attention to green detail! In our correspondence Gina mentioned she is also passionate about the health benefits of tea. I wish her luck in growing her Little Tea Box audience! It is definitely a developing part of the tea industry. Cons: not enough information on the teas or where they come from. Website could offer more information as well.